Chicago Getaway: A very special birthday celebrations with my in-laws. First post of the month and couldn't be more happier and excited. Indeed, I missed blogging and missed you all dearly. 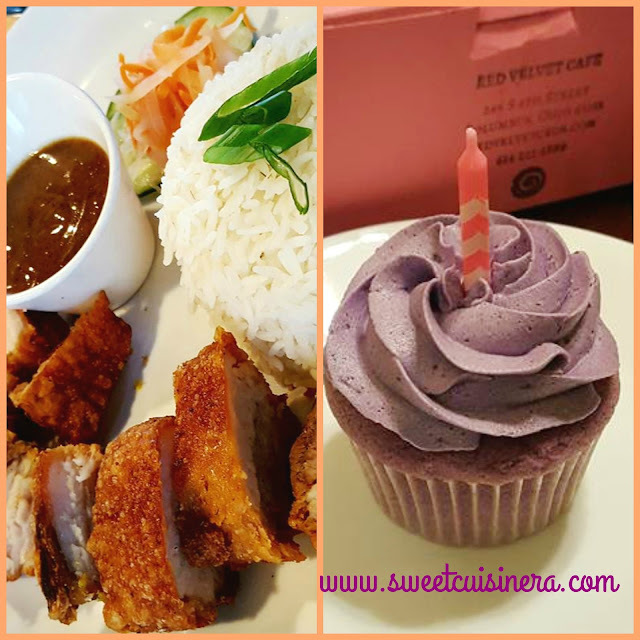 I was just little busy in past few weeks (I think its a good excuse to have.. wink:) Since, I started this blog (5 years ago) I always do a blog post about my birthday celebration and this year is no exception. It's better late than never right? As you may remembered my birthday celebration last year. Get that excitement coming!! 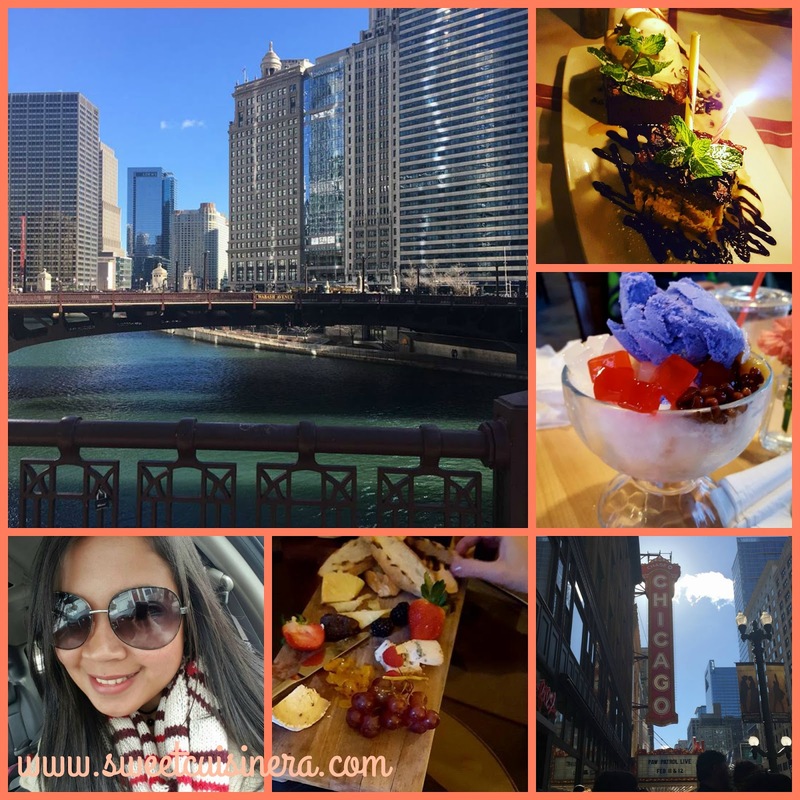 because I'm taking you with me and together we are going to unfold fun birthday celebration with family plus unforgettable Chicago trip with my in-laws.Grab your favorite drink and lets make a toss for awesome birthday 2017 and for memorable experience. I feel so grateful and super lucky to have such a wonderful family who spoiled me not only on my birthday but everyday. It just felt amazing that my hubby and kids took me to Red Velvet Cafe for the first time. I ordered 4 cupcakes and Mango Bubble Tea for drink. It was so good! Then, we head out to Bonifacio (Modern Filipino Restaurant) for scrumptious dinner experience. I ordered my ultimate favorite Filipino dish which is Lechon Kawali.. It was so tasty! I really feel like I'm home. Other food that my family ordered were Lumpia Shanghai, Spaghetti and Fried Chicken and Sisig Taco for hubby. Overall food experience at Bonifacio was amazing! Aside from delicious Lechon Kawali that I ordered. I also got very refreshing drink which I totally forgot the name, kinda taste like lemonade level up because of alcohol content (wink). 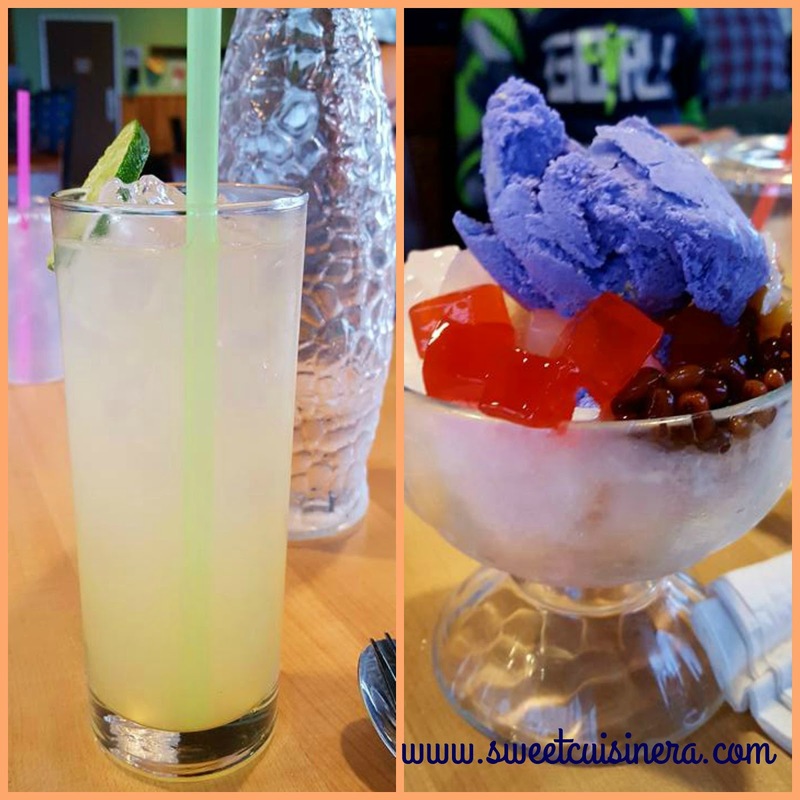 Lastly, how about Special Halo-Halo for dessert? Can we all scream!!!! for Halo-Halo? I'm just super excited to have Halo-Halo again. Its been almost two years since the last time I had one,and it was back on our 2015 Outerbanks, NC trip It was indeed such a sweet birthday treat for me. You heard it right! I'm taking you to Chicago where we celebrated our birthday's together with my beloved in-laws. 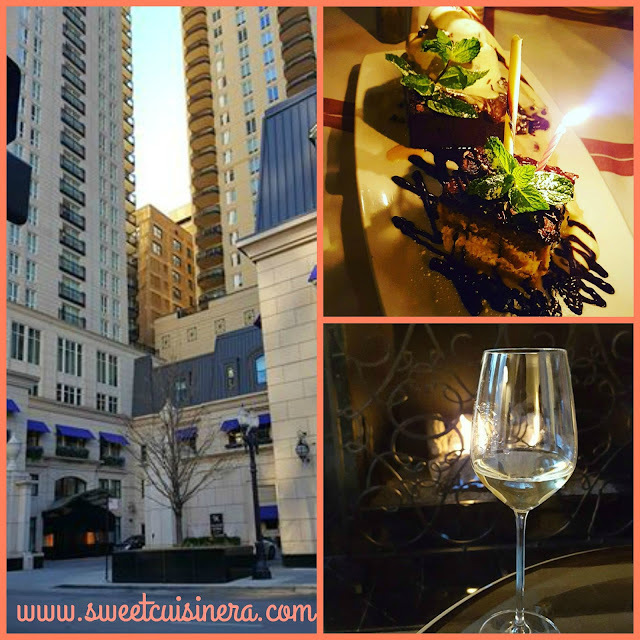 We flew and stayed at Luxurious Waldorf Astoria, Chicago. The place was amazing, relaxing, and fancy. Then, we head out for dinner at Tavern on Rush. The food was so good and the serving was huge. It was really fun night! We started early the next day for our Spa & Massage Appointment which is located in the hotel. It was best ever experience! Spa + Sauna = Relaxation. After a very relaxing experience at Spa, we head out to explore Chicago at its BEST. We eat brunch and stroll around. It was so FUN! The people, the surroundings, noises, the big buildings. Time goes fast when your having fun and it was our last day at Chicago. But, before we head home we explore the place to the fullest. We hit the bridge that overlooked the big buildings of Chicago and it was beautiful. We walked, took a lot of pictures, and subway experience. Indeed, unforgettable birthday experience. I can sit on the couch and talked about our Chicago trip all day..and forever (hahaha) But, it's about time to take my kids to school. 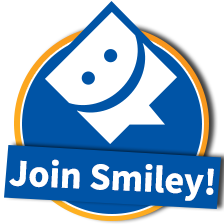 I hope you have fun reading my blog today and learn new things to experience. P.S. I would like to say Thank You to my beloved family for being the BEST. To my wonderful in-laws who invited me to celebrate really fabulous birthday experience. To my cousin Lorlyn- salamat kayo sa gift Dai. To my family and friends who greeted me offline and online. Thank you so much for sweet greetings, being so generous, and wonderful. I love you all! Happy birthday, Melgie. May you have more blessings to come. You really had a great time celebrating your birthday. Belated happy birthday sis. You indeed so blessed to have a wonderful family. Stay happy and gorgeous! God bless you more. Wow, that was indeed a fun birthday celebration. You are indeed blessed to have a family who loves spoiling you and making you happy. :) I dream of traveling too on my next birthday. You're one of the lucky daughters who have a family that treated you much and even spoiled you. And I know you are not abusing it that kind of super treatment by your family. Belated happy birthday anyway. Sometimes in a foreign land, you will be very happy knowing a Filipino Resto is just around the corner.